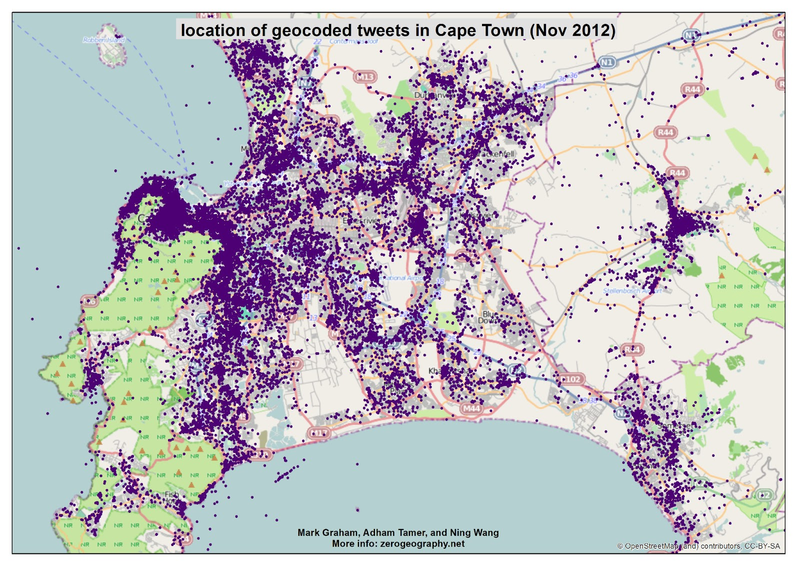 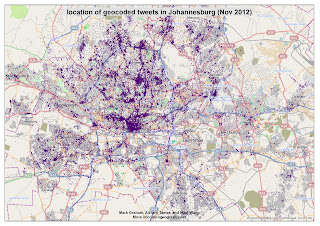 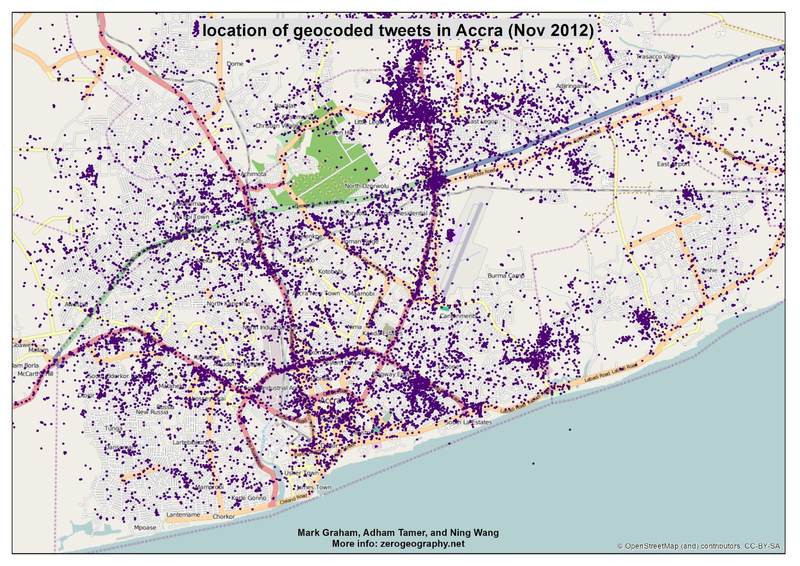 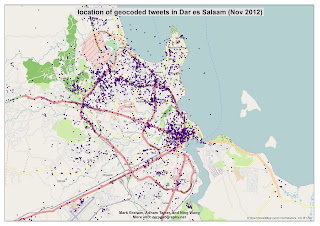 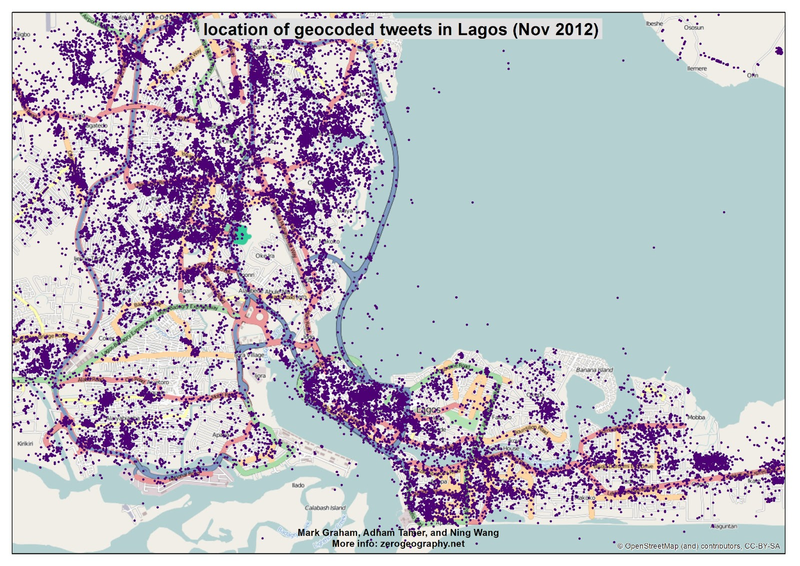 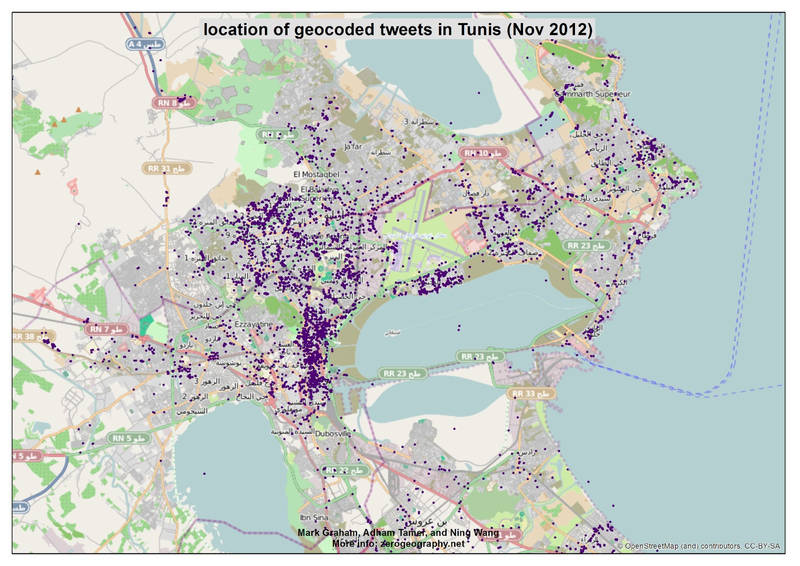 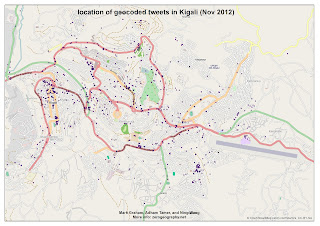 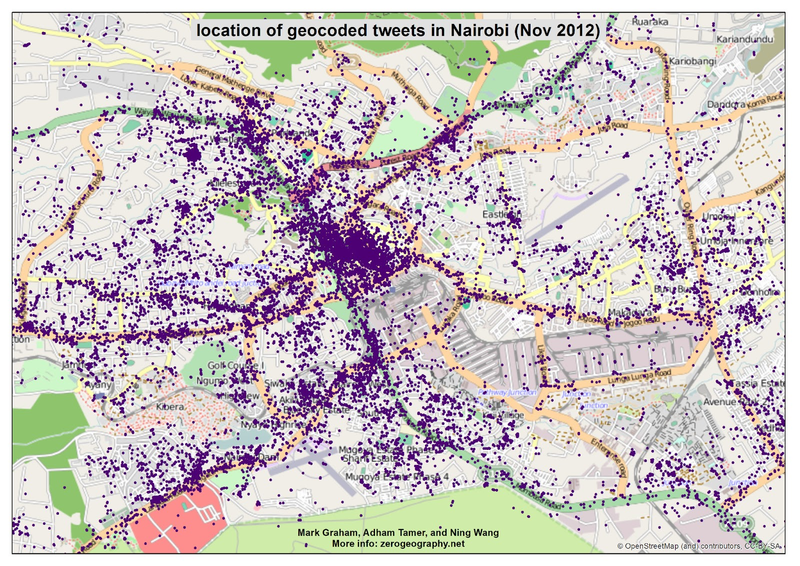 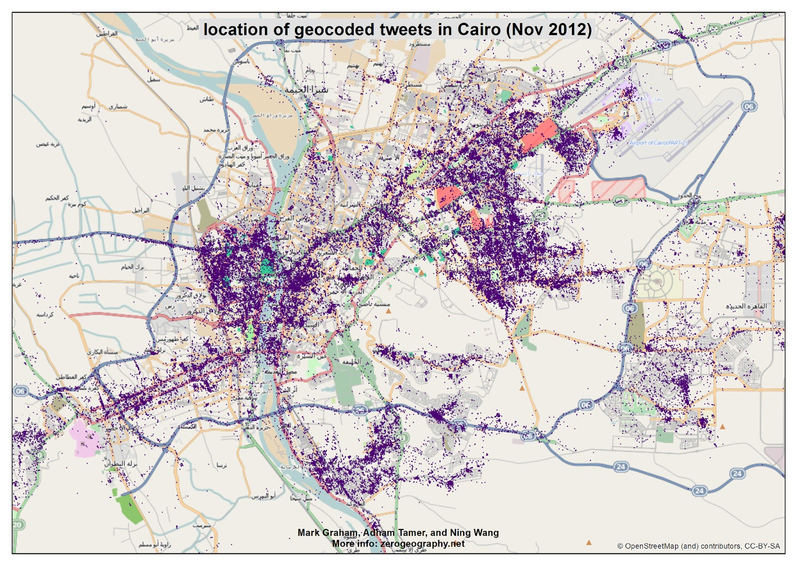 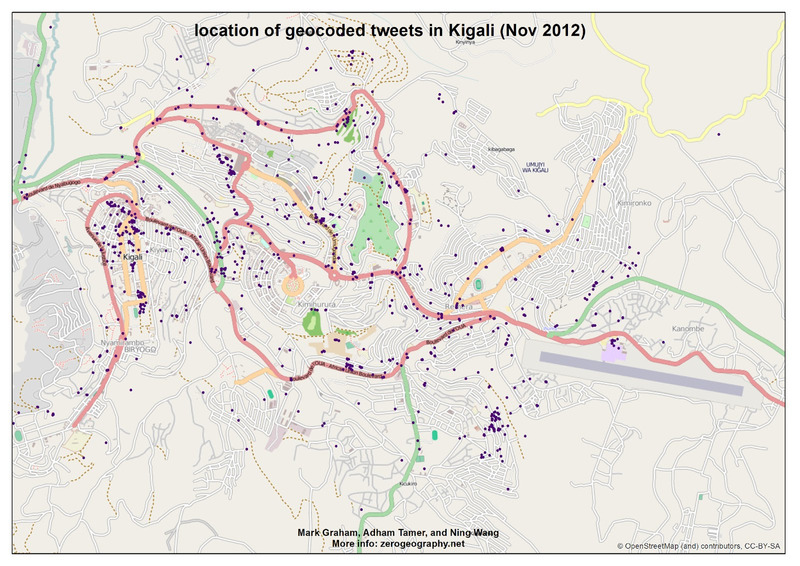 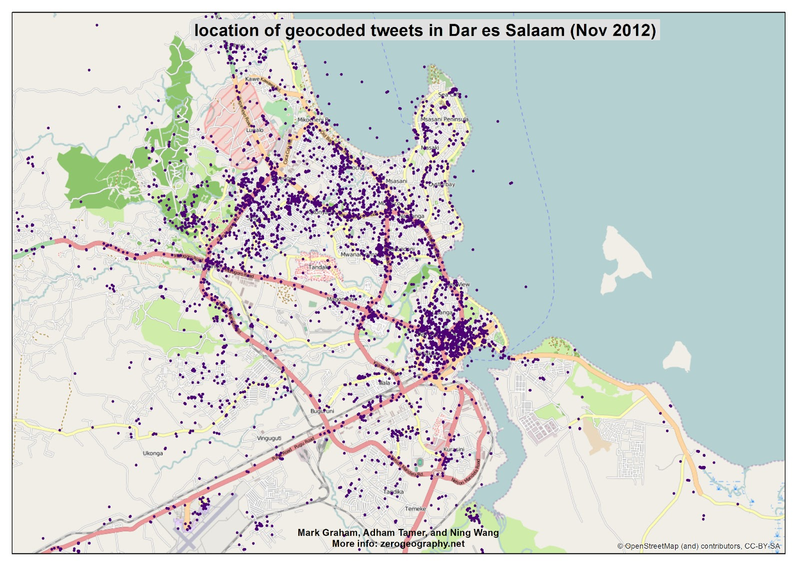 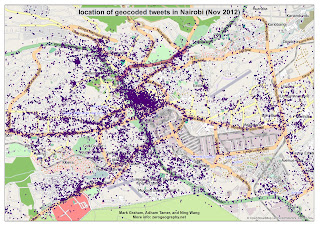 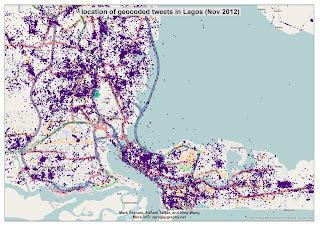 Building on the last post (a map of Tweets in Nairobi), I’d like to show a few more visualisations of information densities in other African cities. 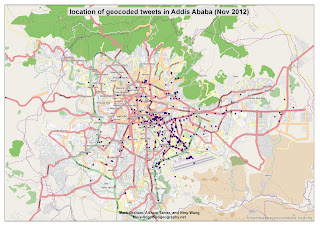 Look for the information presences and absences; groups of people who are and aren’t participating in each city. 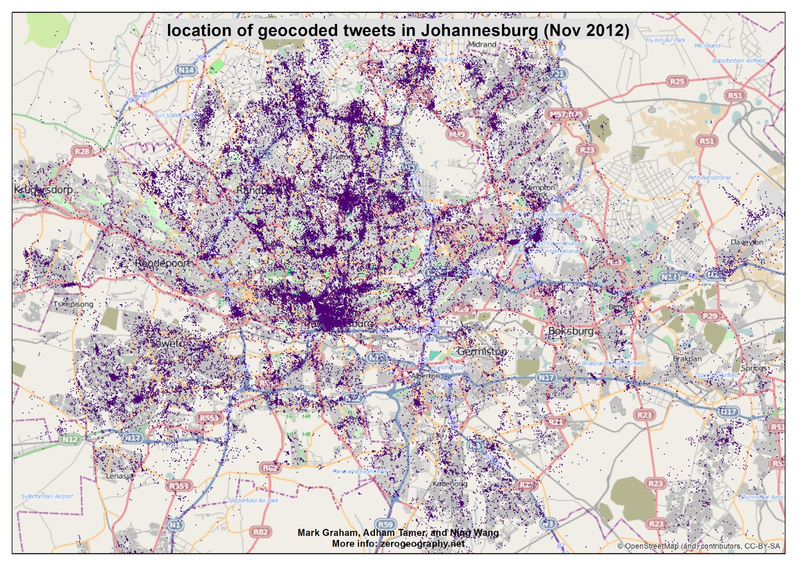 But also look at the significant differences between cities. 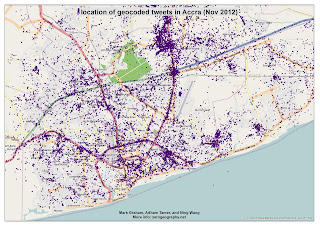 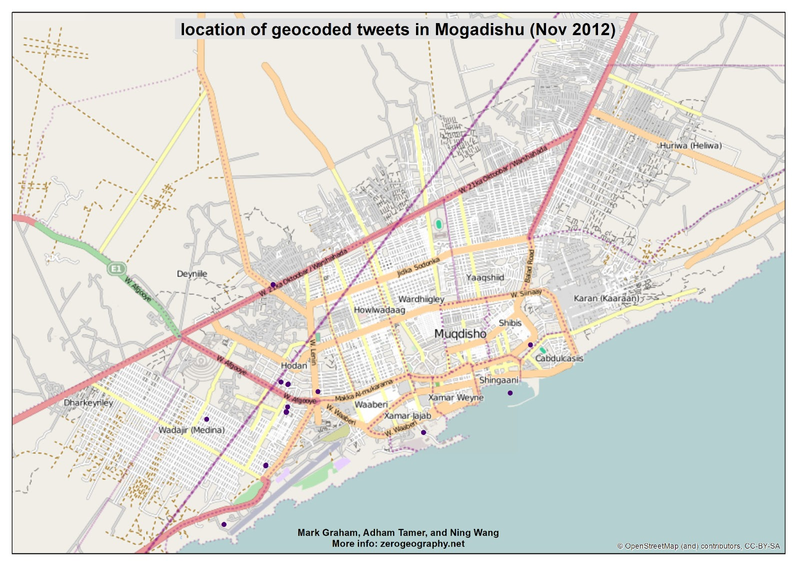 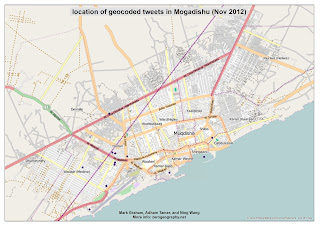 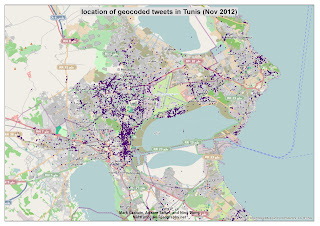 Cities like Nairobi, Cairo, and Cape Town are swimming in thick clouds of information, whereas in Mogadishu and Addis Ababa we barely find any digital geospatial information at all. 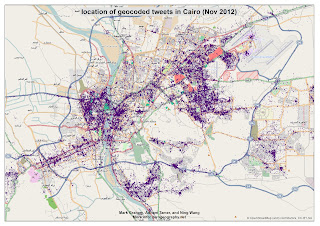 If you’re interested in why these geographies of information might matter, then check out any the articles at the end of this post. Otherwise, enjoy the maps - and please share any insights you have about any of these cities (or let me know if there are other cities that you’d like to see mapped).